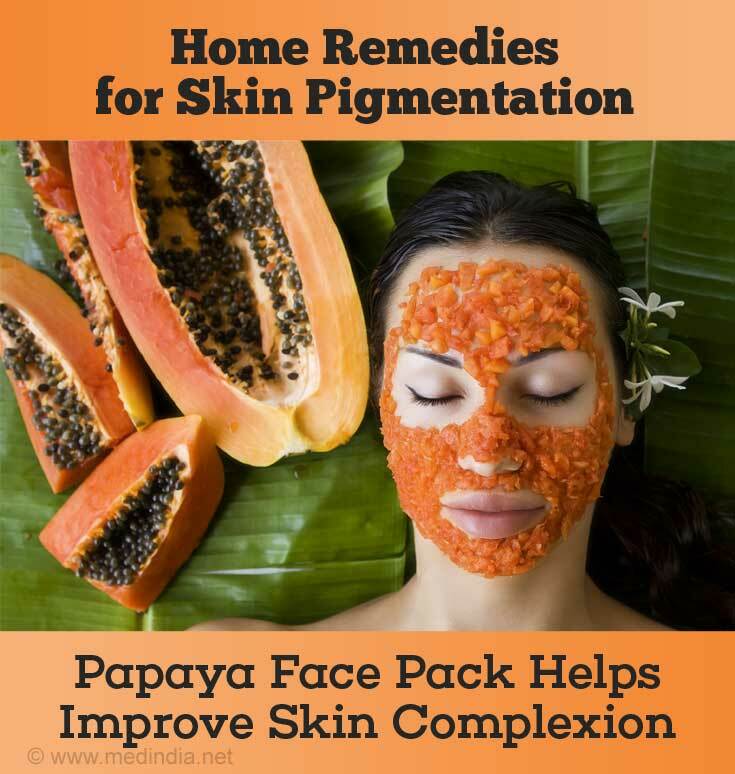 Here are amazing homemade beauty remedies based on papaya. Now, apply this magical fruit on your skin and see how it works! Papaya, honey and lemon juice is all you need to prepare an effective papaya face mask that will leave your skin feeling vibrant, looking beautiful and glowing all day long. The multi-vitamins and antioxidants present in papaya hydrate dry skin, remove acne and help lighten blemishes and dark spots. 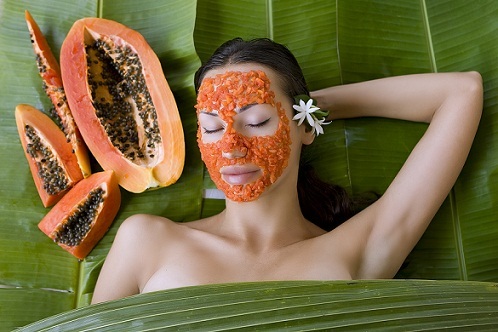 All in all, this papaya face mask will improve your skin tone. Take one-fourth portion of a medium-sized papaya and chop it into pieces. Blend it to get a paste-like consistency. Add to this one tablespoon of honey and one-half teaspoon of freshly squeezed lemon juice. Mix it together to get a fine paste. Apply this paste on your face and neck and keep it on for at least 15 to 20 minutes. Rinse off with lukewarm water and enjoy the results. 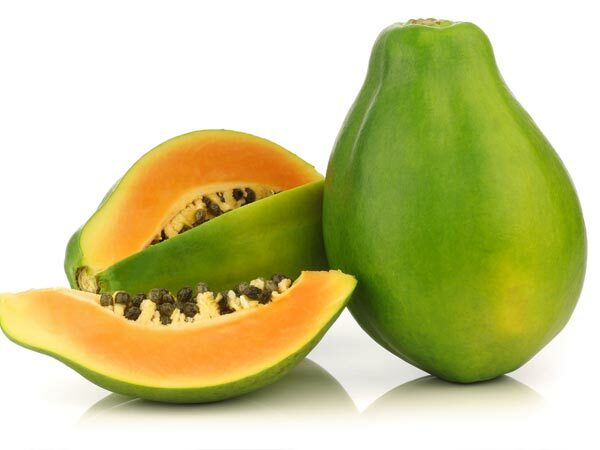 The magic enzyme found in high quantity in papaya is papain. It is said to be beneficial in removing dead skin cells. Add to that papaya’s exfoliating action and you get a skin that feels and appears much younger and supple. Two tablespoons of fresh aloe vera gel need to be mixed with enough papaya to cover your face and neck along with one tablespoon of honey. Make into a smooth paste and apply on face and neck. Keep for 35 minutes and wash off. Uneven pigmentation, teenage acne that has left behind scars, or any kind of blemishes on your face can be a major dent to your appearance. Papaya can come to your rescue here as well. Papaya has beta-carotene, enzymes, and phytochemicals that help tackle pigmentation. Additionally, the enzyme papain and the alpha-hydroxy acids in papaya act as a powerful exfoliator that dissolves inactive proteins and dead skin cells. Soak cotton balls in freshly prepared papaya juice and apply generously on affected areas. Let your skin stay this way for 15 minutes before rinsing with cold water. Follow this process once a week. Papaya has a high dose of water content. So, when it is applied directly on the face in the form of a smooth paste and left on, it leaves your skin naturally moisturized and smooth. Applying is one thing, but to make the most of the water content in this great fruit, you should eat it everyday. If you suffer from dark circles under your eyes and no amount of rose water and cucumber have helped resolve this issue, then try the green papaya pulp — it is a natural bleaching agent that helps erase skin discoloration. You’ll need a quarter cup of mashed green papaya. Apply it directly on your dark circles (avoid contact with eyes) and leave it on for at least 10 minutes. Gently with your fingertips rub your skin and with a moist cloth or cotton ball wipe off the paste. Wash with lukewarm water and repeat daily. The exotic beach holiday was a lot of fun but if it has left you with an unbearable tan that you’d like to get rid of fast, try papaya. Take four cubes of ripe papaya and add to it one tablespoon of turmeric powder and one tablespoon honey. Mix these ingredients well to form a thick paste that should be applied to your face evenly and left on for 20 to 30 minutes. Wash off with lukewarm water and use this preparation once a week to prevent further tanning. Another face mask to tackle skin tanning requires blending together of one cup of green papaya with one teaspoon each of vitamin E oil, honey and plain yogurt. Gently massage the paste onto your skin and leave for 10 to 15 minutes. Rinse off with cool water. The abundance of the enzyme papain in papaya makes it an effective treatment for acne. The fruit also helps prevent future breakouts. 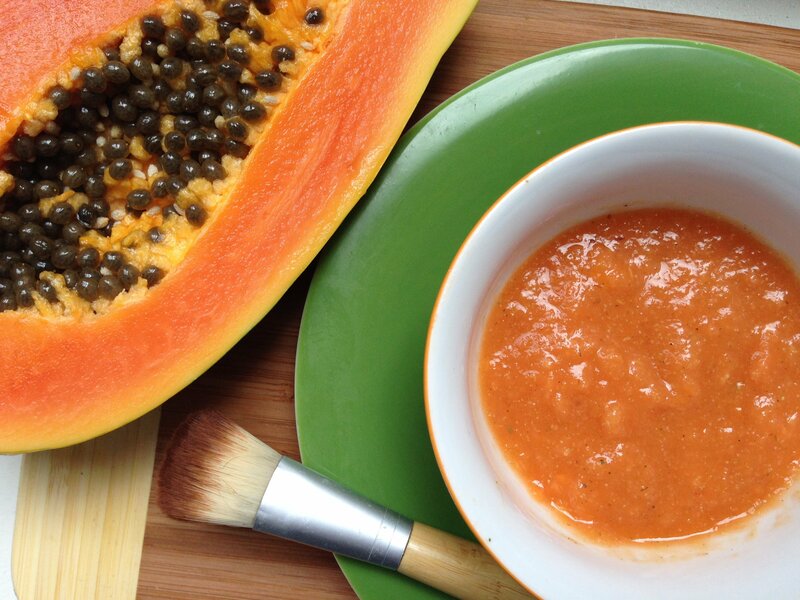 Use the thick skin and pulp of a ripe papaya to make into a paste and apply as a face mask. Leave it on for 15 to 20 minutes before you wash it off with cold water. With regular application, you will notice a marked difference. You can also use the juice of raw papaya on affected area to soothe inflamed skin and reduce irritation. Those tiny almost-invisible hair on your face need not be waxed off painfully. The wonder enzyme, papain present in the peel of papaya (where it is present in the highest concentration) is said to inhibit hair growth. Rub the peel of an unripe green papaya on the skin gently for a minute. Leave the residue for 15 to 30 minutes and rinse off. It will take care of those unwanted hair and also leave your skin feeling youthful and supple.